tl;dr I found a severe issue in the Slack's SAML implementation that allowed me to bypass the authentication. This has now been solved by Slack. IMHO the rule #1 of any bug hunter (note I do not consider myself one of them since I do this really sporadically) is to have a good RSS feed list. In the course of the last years I built a pretty decent one and I try to follow other security experts trying to "steal" some useful tricks. There are many experts in different fields of the security panorama and too many to quote them here (maybe another post). But one of the leading expert (that I follow) on SAML is by far Ioannis Kakavas. Indeed he was able in the last years to find serious vulnerability in the SAML implementation of Microsoft and Github. 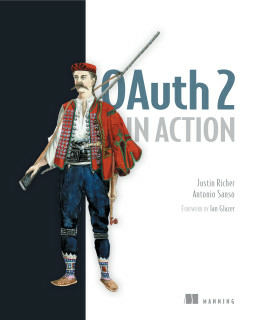 Usually I am more an "OAuth guy" but since both, SAML and OAuth, are nothing else that grandchildren of Kerberos learning SAML has been in my todo list for long time. The Github incident gave me the final motivation to start learning it. As said I was a kind of SAML-idiot until begin of 2017 but then I decided to learn it a little bit. Of course I started giving a look the the specification, but the best way I learn things is by doing and hopefully breaking. So I downloaded this great Burp extension called SAML Raider (great stuff, it saves so much time, you can edit any assertion on the fly). The Assertion also contains an AudienceRestriction element that defines that this Assertion is targeted for a specific Service Provider and cannot be used for any other Service Provider. Well between all other things I tried this very really simple attack against a Slack's SAML endpoint /sso/saml and guess what? It worked :o !! 02-05-2017 - Reported the issue via Hackerone. 03-05-2017 - Slack confirmed the issue. 26-08-2017 - Slack awarded a 3000$ bounty but still working with the affected customers in order to solve the vulnerability. Hence the ticket was kept open. I would like to thank the Slack security team in particular Max Feldman you guys rock, really!! Well that's all folks. For more SAML trickery follow me on Twitter.